WASHINGTON — Three Oscar nominations, 10 Tony Awards and one unforgettable story. The acclaimed musical “Billy Elliot” dances its way into Signature Theatre, now through Jan. 6. 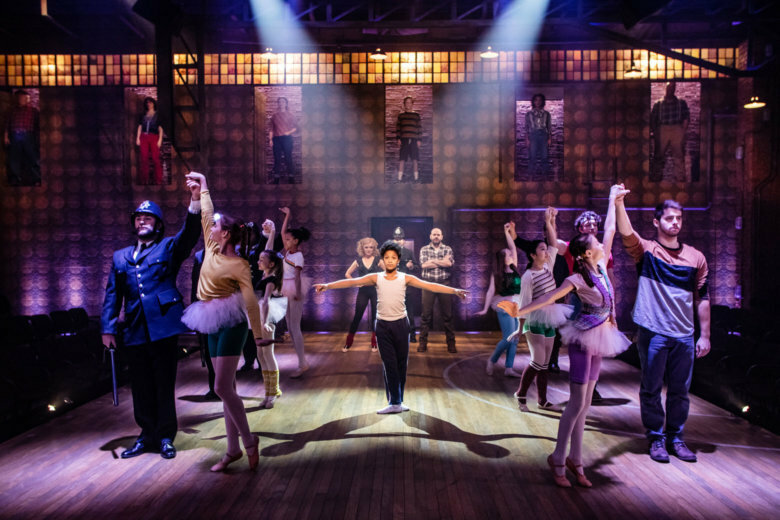 Adapted by Lee Hall from his own movie screenplay, the show follows 11-year-old Billy Elliot, who lives in England, where his father and brothers are caught in the 1984-85 Miners’ Strike. When Billy falls in love with ballet, he brings the town together through the power of dance. Indeed, the role is so demanding that they had to cast two child actors to split the duties. That talented local boy is 11-year-old Owen Tabaka. He splits the role with 12-year-old Liam Redford, of New Jersey. Both young performers remember sheer excitement when they got the good news. Gardiner himself relates, having been the only boy in an all-girls ballet class from ages 8-16. These themes of creative expression play out in the songbook by Lee Hall and Elton John. The numbers unfold against a cinematic backdrop by set designer Jason Sherwood. So far in the show’s first few weeks, audiences have been leaping to their feet.